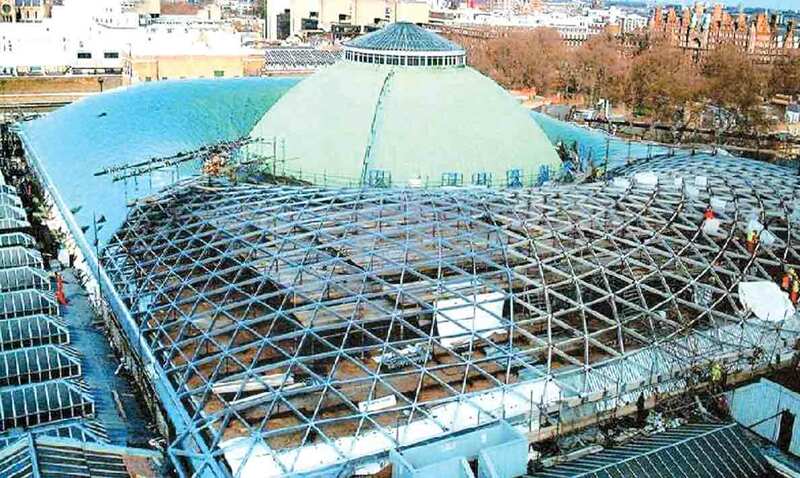 Total replacement of the 'Great Court' roof based on a design by Sir Norman Foster. In conjunction with our parent company Waagner-Biro, Qualter Hall supplied and installed the new structural steel and glass assembly, which is unique in its design and complexity. The roof, plan size measuring 100m x 72m, of curved and semi-symmetrical construction, is centred around a 45m diameter offset dome and consists of a lattice work type structure with glass infill panels. Each structural steel joint (node) is unique in its construction and every individual member has had to be tailor made including the glass panels.